Slalom Patrik Diethelm Windsurf Boards. Slalom Patrik Diethelm Windsurf Boards. PATRIK slalom: More tuning possibilities for more perfomance! With the PWA rule the world’s best riders have to cover all conditions troughout the whole year with only three boards. Changing fins, strap and masttrack position helps to fine trim the board and adapt to the prevailing conditions better. PATRIK is the only brand offering more trim possibilities to be able and fine tune the board even more. With the adjustable cutout plates and wings it is possible to transform every board and change the power/lift under the tail and back foot. This advantage is not yet used by other brands and we hope it stays like this (-:! The bottom curve is designed to glide as low and smooth as possible over the water. But still have enough height under the masttrack area and at the nose so as not to stick to the water or dive into the upcoming chop. Slalom 87 v2, 92 v2 – The performance ratio is designed for more control. This improves both top speed in rough conditions and enables easier gybing. Slalom 95, 100 v2, 110 v3 and 115 v4 – The performance ratio is designed for earlier planing and acceleration. Slalom 125, 130 and 140 – The performance ratio is designed for earlier planing and acceleration. Slalom 87 v2, 92 v2 – A relatively straight curve in the mid section with a narrow tail. 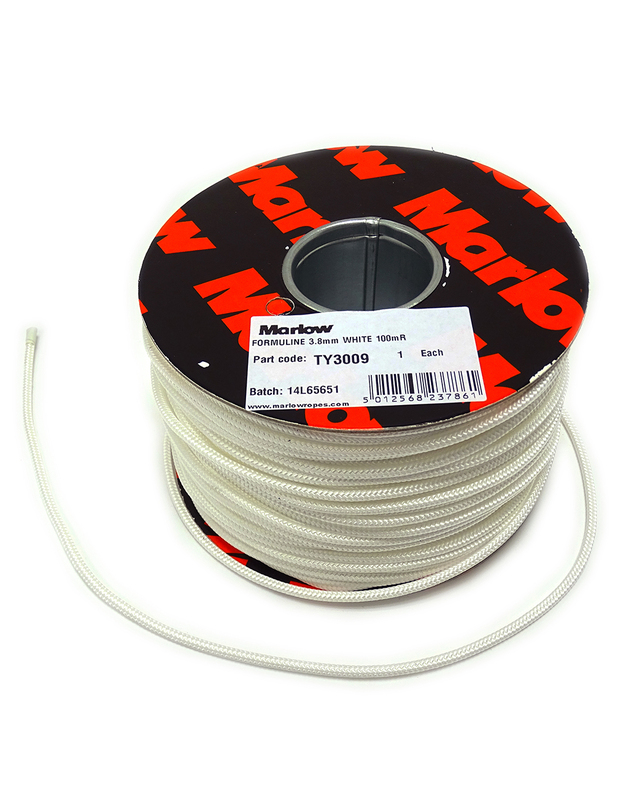 This makes for ultimate control and maximum speed in rough conditions. Slalom 95, 100 v2, 110 v3 and 115 v4 – A harmonious mix between the straight outline of the small boards. The more rounded outline of the big boards makes the medium sized shapes extremely versatile in their range of use. This results in the best performance ratio from all sizes. 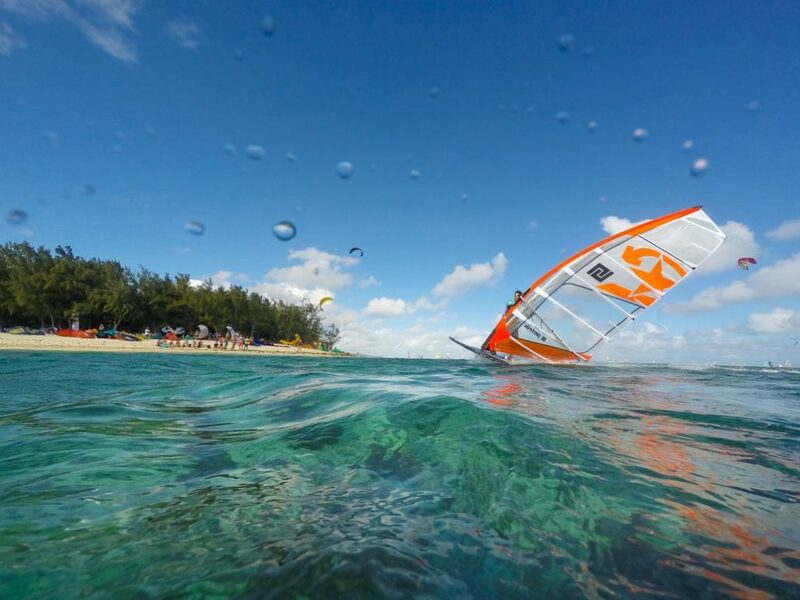 Slalom 125, 130 and 140 – The round outline makes the board both agile and direct. This is important in the light winds for the quickest possible acceleration and to reach top speeds without losing drive in the lulls. The Slalom 130 and 140 have a wider tail deck outline than the bottom. This helps the rider to have more leverage over the fin, but still have a narrow enough tail underneath for top speed. Slalom 87 v2, 92 v2, 95, 100 v2, 110 v3, 125 – Flat panel V in the tail to the mid section for control and speed. The front section has an increasing Vee shape with double concaves and side flats for a smoother ride. To give the rails more height to clear the water whilst fully planing. 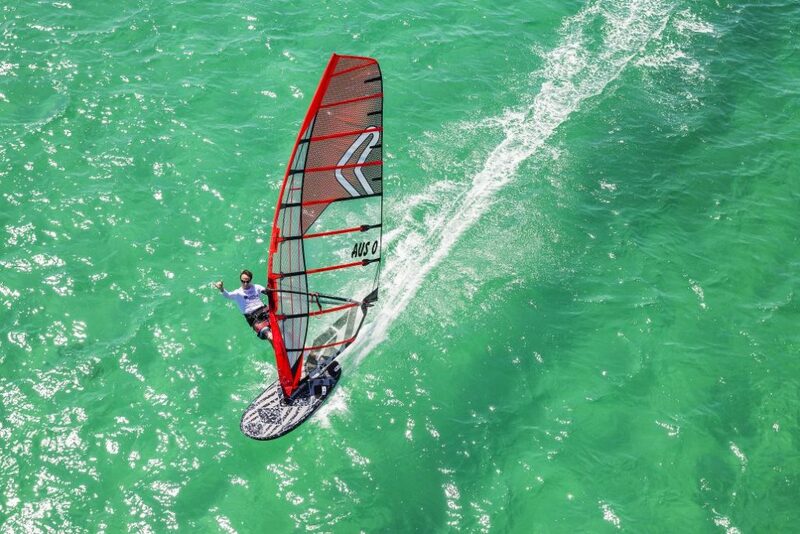 Slalom 115 v4, 130, 140 – Invert V in the tail which gives more lift for better planing and more acceleration. Flat panel V starts under the front footstrap and runs into an increasing V shape with double concaves and side flats for a smoother ride. To give the rails more height to clear the water whilst fully planing. Slalom 87 v2, 92 v2, 95 and 100 v2 – S-Deck: Lower back foot, higher front foot and lower mast track. 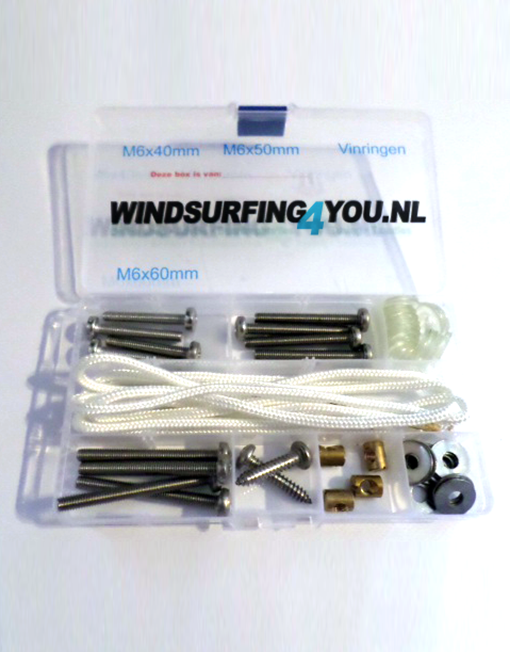 This allows a comfortable sailing position and outstanding control during cross and downwind reaches. Slalom 87 v2, 92 v2 – Slight dome in the deck to maintain volume whilst still having the deck as flat as possible. 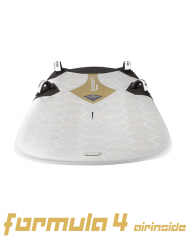 To increase responsiveness to foot pressure for easier and more controlled gybing. Slalom 110 v3, 115 v4 and 125 – Thicker tail under the back foot gives more power and improves planing and acceleration. The flat deck in the center makes the board responsive to foot pressure for easier and more controlled gybes. Slalom 130 and 140 – Thicker and wider tail under the back foot gives maximum power for best planing and acceleration performance. The flat deck in the center makes the board responsive to foot pressure for easier and more controlled gybes. Boxy rails in the tail area provide a comfortable foot position in the straps. In the mid section the boxy rails avoid the water sucking up the deck and provide flotation through and after the gybes. Thin rails in the nose area to reduce weight and increase reactivity. 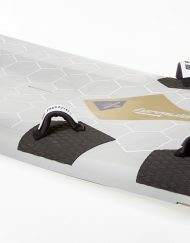 Slalom 87 v2, 92 v2 and 100 v2 – The smaller tail surface reduces drag and trims the board in a more lateral free gliding position. Where as the rail cutout trims the board more to the leeward side. 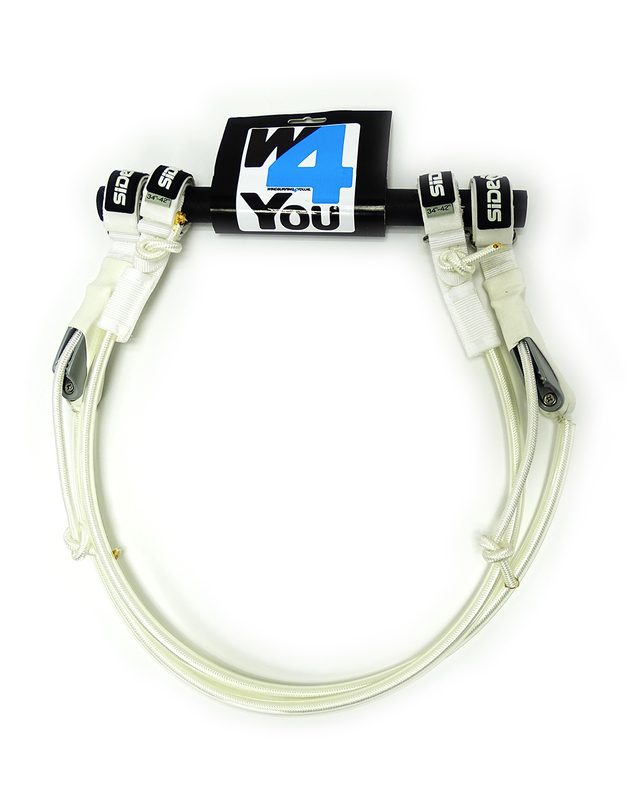 This helps release the upwind water pressure and increase acceleration and top speed. Slalom 110 v3, 115 v4, 125, 130, 140 – With the new tail and rail cutout geometry the top speed improved significantly. The rail cutout lets the board tilt to the leeward side nicely which releases the upwind water pressure more. Slalom 100 v2, 110 v3, 115 v4, 125, 130, 140 – The adjustable plates can be adjusted in height. The deeper cutouts have less drag and more top speed. Whilst the lower cutout depth increases pressure (lift) in the tail making the board ride flatter. This helps early planing and control. A range of cutout plates with different geometry are offered as an accessory to be able to fine tune the board even more. The heel wing was originated for the Formula board. 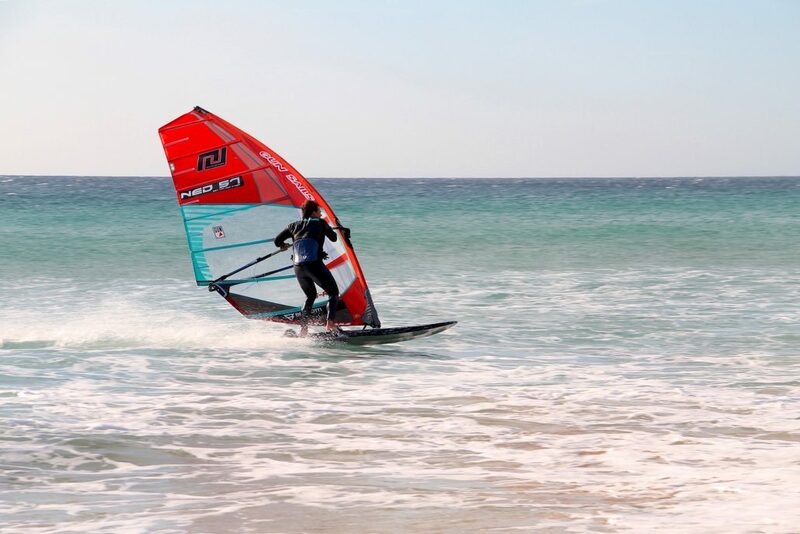 Some riders have tested it on the slalom board and the result was more power under the back foot for earlier planing, better acceleration and more speed in light wind. To have more options for individual fine tuning the wings are offered as an accessory.